Delft pottery mark query- E 4 8? 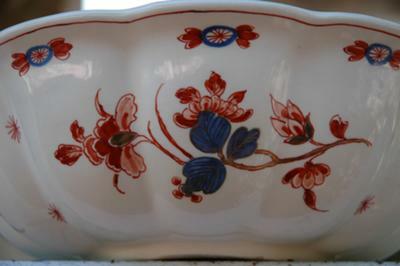 Brush Stroke ID - Delft pottery mark query- E 4 8? 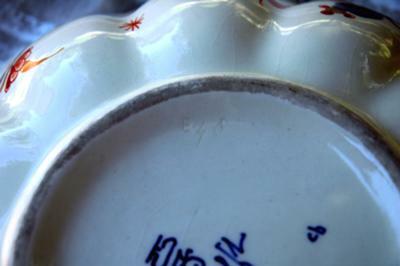 Bottom markings - Delft pottery mark query- E 4 8? Top view - Delft pottery mark query- E 4 8? Side view - Delft pottery mark query- E 4 8? Delft pottery mark query- E 4 8? :- This large bowl has been in my family since 1915 or so. It's been handed down a few times and I hope to pass it on to my own children. I don't know much about the markings and am hoping someone may be able to give an approximate date and location that the piece was produced. 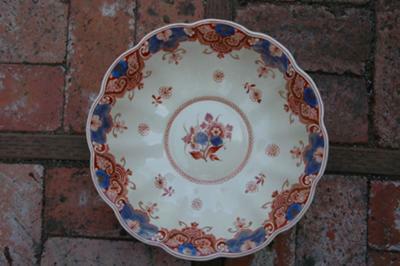 Height is 3 1/4 "
Comments for Delft pottery mark query- E 4 8? Did you manage to find out anything about your Delft pottery? I have a jar with the same 2 marks and the Delft script but it has 1915 at the top and 675 and BB at the bottom. There is also a capital A stamped in the base. On site oldandsold.com, this marking shows to be from about 1890. Search for The Porcelin Bottle, which is the name of the mark that Delft used at that time. We just began the same research for a small jar we found at a thrift store for $7.50 USD. Your marks that you published in the forum helped us identify ours as being Delft. This is the mark of Porceleyne fles at Delft, in the Netherlands, this factory still exists. Go to royaldelft.nl/webdocs/history/year%2520codes.pdf Delft uses a lettering code to identify the year the piece was made. They asked not to post HTML here, so you will need to add www to the link info above. 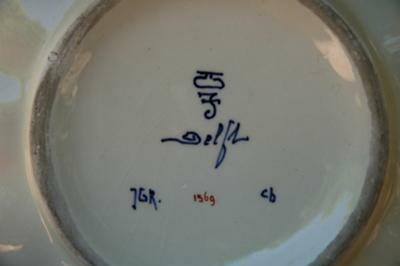 The letters CB to the right of the Delft mark indicate this piece was made in 1957. The letters to the left are the initials of the painter. The number at the bottom is probably the pattern number, but I haven't confirmed that. I was researching a piece I have and found this info and thought I would share it.